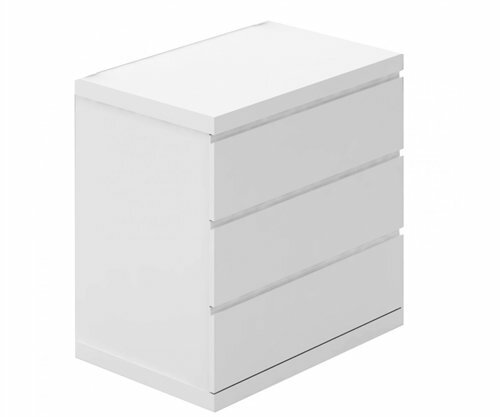 The Anna Single Dresser’s clean lines, minimalist design, and high-gloss white finish give it a look that’s fresh and contemporary, yet still retains a simple, timeless charm, allowing it to fit in with any number of different decors. 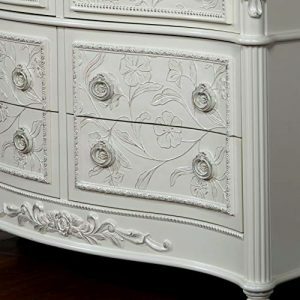 This dresser features expert craftsmanship using quality materials, as well as a compact size perfect for smaller spaces, extra storage, or children’s rooms. Its three drawers are roomy enough to stow clothing or personal items safely away. 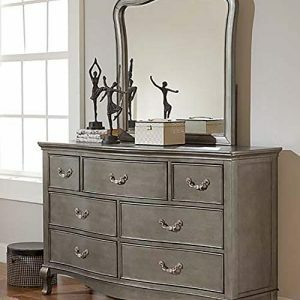 Use this dresser on its own as a beautiful accent piece, or pair it with other items in the Anna collection for a room that’s perfectly pulled together.